Comfortable? Not at all. Necessary? Absolutely. It’s something that my husband and I have discussed for a long time. Niko is friendly, gregarious, and just as apt to sit on somebody’s lap now as he was when he was two years old. Kisses from a toddler are darling. From a teenager who can’t read the situation? Not so much. And that’s just hugging and kissing. Growing up in Las Vegas presents a whole new set of challenges when it comes to sexual situations. I’m sure you can imagine. I’m glad to be taking the class, but I have to admit I’m doing it with gritted teeth and a fearful heart. But we can do difficult things. 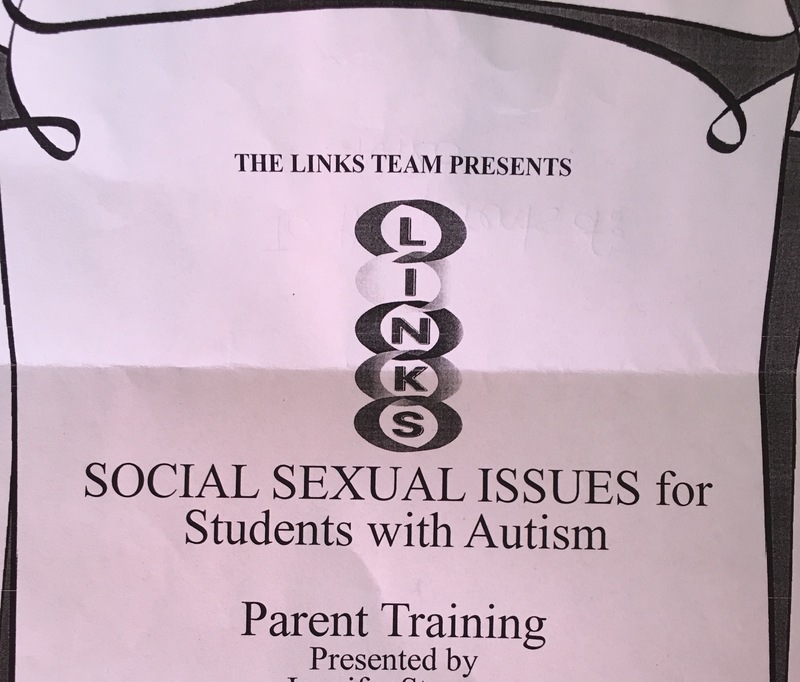 I’ve worked with the Autistic population for awhile now and some of the amazing folks I cared for were close to family in my eyes as my own children are, so I can somewhat understand your trepidation going forward with this class. But that fear you have is a blessing, as it will temper your caution and enhance your awareness to the abhorrent “what ifs”, and in the end, you and your family will be stronger because of it. You and the Hubby got this! Best wishes to the Yardley clan all the way from Maine, a’yuh. Thank you so much for this, John! Let me know what you learn! I could use that in my classroom! I’ll let you know, Yonina! I’ll take copious notes! It’s been well-reviewed and received. I’ll be interested to hear your experiences with the class.